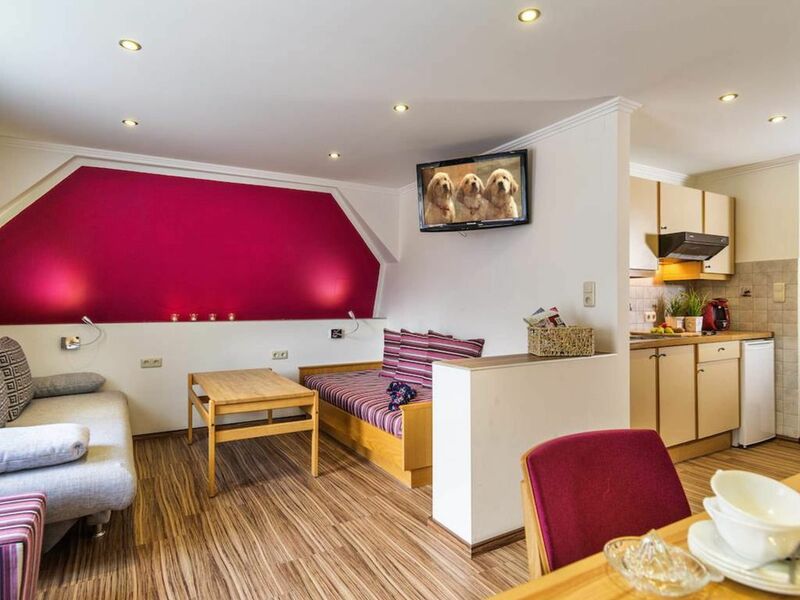 Welcome to THE RESIDENCE GRUBER apartment in the southernmost part of Bad Gastein in beautiful Einöd Böckstein. SUMMER: Directly on our doorstep is the Hohe Tauern National Park and therefore countless walking and hiking trails. We are happy to help you find the perfect way to the well-deserved Brettl-Jause of our Gasteiner Sennerinnen and Senner. For our mountain bikers we have some insider tips ready - in the Gastein valley bike paths await you from cozy to difficult. In summer there are various bathing possibilities in the valley: # the "Felsentherme" in Bad Gastein (3 km) (reduced admission at our reception!) # the "Gastein bathing lake" in Bad Bruck (9 km) # the "Alpentherme" in Bad Hofgastein (12 km) # the "solar bath" in Dorfgastein (18 km) WINTER: immediate proximity to the high-altitude ski area, freeride paradise and snow-sure cross-country skiing area " Sportgastein "await you here. This makes our location ideal for all winter sports enthusiasts. Only a 5-minute drive to the nearest ski area and the ski bus stop for the free ski bus is only 180 meters away. When coming home, the bus also likes to stop at the front door. To relax in the Felsentherme Bad Gastein is only 3 km, the discounted entrance you receive at our reception. Our Gruber Inclusive's: # Gastein Card, you get over 200 advantage prices throughout the valley! # sunny garden with sunbathing possibilities # sunny terrace to stay in # ski and snoawboard room with ski boot and boat warmer # big screen flat screen TV in all rooms and apartments # locked bike and stroller room # relax area with finnish sauna and infrared sauna # WiFi for free and fast in all rooms and apartments # small leisure gym # guided hikes # hobby room with billiards and kicker # parking directly at the hotel # petting zoo with turtle Franzi, rabbits and chickens # children's playroom with toys from small to large # playground with climbing castle, swing, slide , Sandbox and Co Gruber Extra's: # massages in the house # homemade pizza # self-service cafeteria, with a sunny terrace to relax For our 4-legged guests we have come up with some snooty extras, you are very welcome ! !